The 2014 Clarion West Write-a-thon has finished. 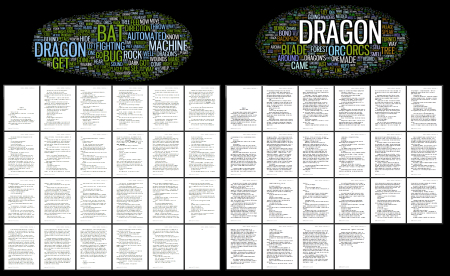 I met my goal of completing drafts of chapters 4 and 5 of “Buddy Journey,” book 4 of my The Dragon Universe series. To those who sponsored me, I say thank you. The Clarion West Write-a-thon is a fundraiser for the Clarion West Writers Workshop nonprofit literary organization. As of this posting, the opportunity to sponsor writers is still open. You may contribute in my name by following the sponsor link on my write-a-thon profile page. You may sponsor any of the other fine writers by selecting them on the Write-a-thon 2014 participants page. This link will take you to the general information about the write-a-thon.